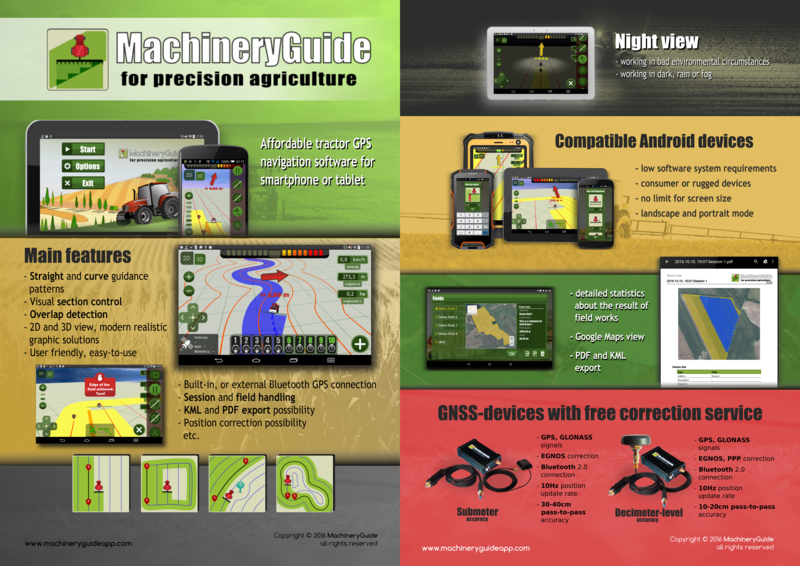 MachineryGuide is an agricultural guidance application, which was developed for Android devices. With the help of the application the cultivated area and the overlaps can be displayed. 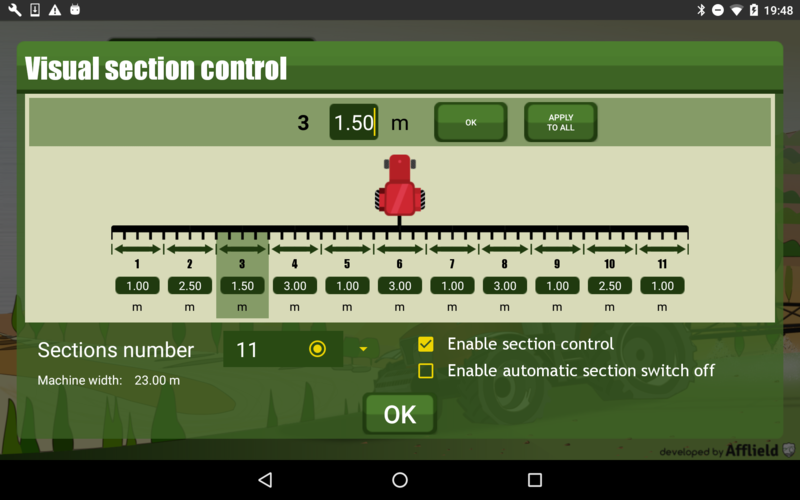 The guidance application helps the farmer in edging along the ideal track by gearing to straight reference lines. Thanks to this software You do not have to invest your money in expensive and complete systems. 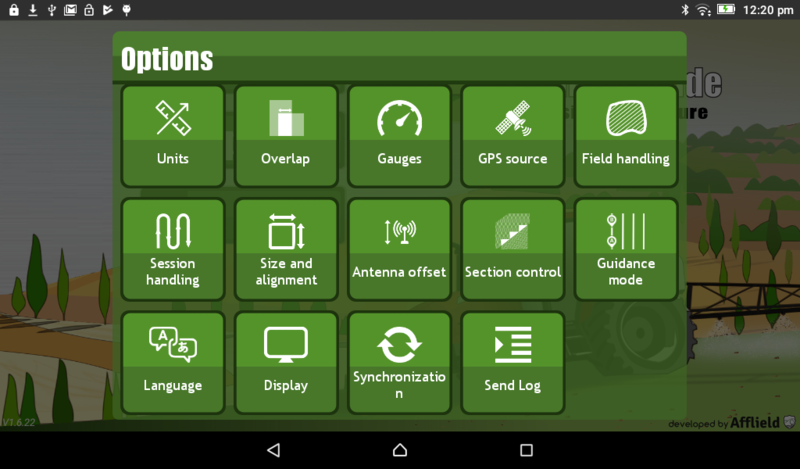 Simply by buying the application and an antenna you can get a simple precision guidance appliaction, with the use of which you can reach significant yield growth in your farming. 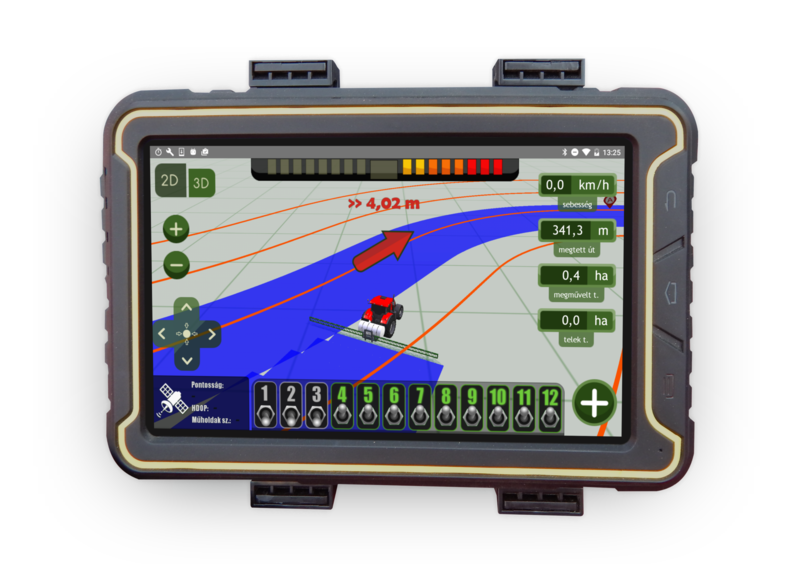 MachineryGuide software is a practical and innovative solution for all, primarily for small and medium sized, farms. By using our system you can increase the efficiency of your farming and the quality of your work. Optimize your fertilizer and pesticide usage, machine costs, work hours, and achieve savings up to 10%!